12+ hours for unannounced maintenance, and they don't offer refund. What a bad first day of 2012! Mine has been down as well, this terrible. There is no announcement on the website and the ticketing system won't even take any tickets anymore. Does anyone know if this is affecting all their nodes in NY? 10+ Hours no response on my ticket. No update on their website regarding status or announcements. My service hasn't had any downtime, even though by that picture you posted it should be offline. My first ticket they said it was maintenance, and it should be fixed now, but then it went down again, and when I made a new ticket, they said there was still ongoing maintenance. I was on ny15 and then moved to ny14 still suffering a lot of downtime. Lucky I have moved all of my data into another provider. I have submit a ticket for a refund, but still no respond, it's been around a week now.. I think they should fix all their host node that using vswap before use it on production.. It's been down closer to 24 hours now, starting yesterday morning..
Make a new years resolution and find a new host that can provide more reliable service. I'm with server-guy. 12-24 hours of downtime is bad enough, but no communication at all? That's pretty awful. ^^ What this guy said. I find it strange though how such a popular provider would not notify clients prior to the maintainance? Did they think clients would not notice 12 Hour+ Downtime. Not sure why some host really do this but we always try to advise our clients 2 weeks prior and send them reminders about maintenance. First of all, why do you think this is maintenance? Who in sound mind would start a maintenance on new year's night? I wouldn't expect the service to restart till maybe tomorrow or even the 3rd. Unfortunately, I don't expect a refund or any other compensation either. Their parent company is WebRulon, I guess someone could try and call them instead? AlienVPS's staff said it was maintenance. Your server is online now. The downage was caused due to some maintanence work at the node. Please check now. My VPS went up for about an hour after this, then went back offline, and remains offline still. I called them. Their phone support is off duty today. This is a very easy excuse for them but nobody performs maintenance on new year's night. I am sure they lie about the maintenance. We were pretending to believe it, however we konw it's a shoddy excuse. So whats next? I assume you all can do nothing but wait until the servers or supprt line is active again. Do they even have anyone working on the issue or are they all off? If its first day, then you are eligible to get refund. Good that you didn't lost any data. I assume they all are off. Next working day in the USA is Tuesday so I would expect our servers will be down till then. They have just replied to my support ticket saying they are working on the issue and that I should be waiting for further updates. Yeah, that's what they told me YESTERDAY. I replied to my ticket again today, asking how long it would be, and just got a canned response "We're working on this. Standby for updates". EDIT: It now appears that they've shut off their ticket system - my.alienlayer.com no longer loads. Yeah, that's what they told me YESTERDAY. I am looking for a replacement VPS. AlienVPS is just not usable. If this downtime isn't because of them going under, surely it will cause them to. I imagine they're going to lose a ton of business over this, if not because of the fact that they had a problem, because of the fact that they've handled it absolutely terribly. My vps is now online, but yeah, ticketing is down as well as the solusvm control panel. It's a shame it has come to this but as one provider falls another one springs up. Hopefully all AlienVPS Customers will get the data or even VPS back. Do they have any form of an SLA? When they come back online, you could probably file a ticket and ask for a discount on next month's invoice for the downtime. This downtime is unlikely because of them going under, it's probably just a bad scenario when something wrong happens and staff is off for long holidays. Unfortunately, this is not enough to sink them. They will still keep on luring new customers hunting for cheap deals. However, even how the people on duty handle this is awful, nobody knows what happens, there are no announcements, no ETAs, nothing. NY9 is still offline, and so is their support @ my.alienlayer.com. This. Exactly this. In fact, I don't even CARE that my VPS was down - I have almost a dozen others, and this one wasn't doing anything very important. What I have a problem with is the fact that they basically refused to give any kind of ETA or explanation, despite being asked. Is anybody else apart from Schiphol back up? Mine on ny12 is also back up, but ridiculously slow. I imagine that may be from everyone pulling their data, like I am. EDIT: Spoke too soon, I guess. It's down again. I think here is bad news, down again. God bless, let me migrate the data. 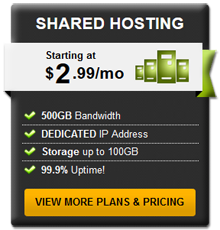 Any recommendations for a truly reliable VPS provider? How firm are they with their no refund policy? My XEN vps is down on alienlayer - as of 2-3 hours ago. Of course, as others have noted, I can't even open a ticket to report the outage. I have an OpenVZ vps with them that's been up for over a week (knock on wood/cross fingers). "No refund" is against U.S. customer rights regulations. If there is a solid ground for a refund, I would file a chargeback dispute with your bank. Failing to provide a service for the money paid is enough reason for a refund. Guys, looking at their plans, for "truly reliable", you will have to pay maybe a little more. VPS providers that are a little more expensive, tend to build a little bit of redundancy with their setups. Ones that build more redundancy have to charge more for the additional hardware to ensure that they provide service for what they are charging. 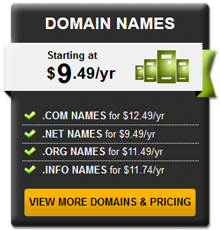 Budget hosting is what it is described, budget, bare minimum being provided to be able to provide bare minimum hosting. We should know what we get into once we see the packages listed on a website, then outages like these, we will know that yes, the major fault of the situation is not the host as long as they get the budget node back up, it is the person that bought the package. I do not sell VPS servers, but on web hosting, I have a budget web host site, and a site that it takes three times the amount of servers and load balancers to ensure that no outages will occur, outside of schedule announced downtime. The price is not what 80% of the hosting community will pay, but it is priced at an amount to ensure proper support, equipment, and up time. Just tired of seeing, a "reliable provider" in posts and throwing an example of what a "reliable provider" has to charge for setups to be a reliable provider and most are not willing to pay for a "reliable provider". Client area is up now, and they put up a notice. The client area was unavailable for an hour while we repaired the filesystem on the machine. Our apologies for not notifying customers beforehand however the machine went read-only and required immediate repair. Nothing about the outage on the VPS's however.. I just read this as well. Yeah like the client area was the problem, forget that my vps was unreachable for over 26 hours!! Mine is up now again, will probably go down again soon..
"No refund" is against U.S. customer rights regulations. This is simply untrue. Don't believe me? Walk into a walmart with something you paid cash for and don't have the receipt for, and see if they'll let you return it. Get your head checked before telling people things are untrue. You are arguing now proof of purchase, not refund. If you can provide proof of purchase then you are entitled to either a refund or a replacement of equal or greater value. I am up since last hour. NY9. Return and refund is a privilege, not a right in this country. Most places allow it, but some most certainly do not. On the other hand, it's extremely rare to get any vendor in China to allow a return & refund. You'd have to be shopping on high main street (and associated luxury pricing) to get that kind of treatment over there. His statement was factually un-true. End of story. There is no regulation at the US federal level - either in code, statute, or in force by way of the FTC or any other relevant regulatory body - requiring any vendor to grant a consumer a refund on a purchase unless that consumer is a federal agency. Guys, please, let's not argue banking here. This thread is about poor handling of certain technical issues by AlienVPS. Guys, please, let's not argue banking here. Then don't participate in to turning it in to one in the first place. This thread is about poor handling of certain technical issues by AlienVPS. I have had more downtime than uptime since I purchased the VPS, and now requested either A) provide me a working VPS. B) Issue a refund and i'll be on my way. Issue a refund and i'll be on my way. Very informative info re: requesting a refund for goods or services. You are safe as long as you are in the american legal field. WHT, where the bi-polar come to play in droves. We speak (mostly) the same language, but our laws are not the same. Registered office: Shepherds Building, Charecroft Way, London, W14 0EH. If you have any questions about our site or these Terms and Conditions, please contact us by writing to MoneySavingExpert.com, Shepherds Building, Charecroft Way, London, W14 0EH. However, for any other issues please do not write to this address. Instead see the Site Contacts. I propose a new name, "AlienJunk." Are they really going to go for the 48 hours goal now and claim it was "Maintenance." If so where were the notifications in advance? If "maintenance" is such a huge task to take 2 days clearly they had some advanced preparation for this. No way at the drop of a hat you decide to go on a 2 day maintenance spree. But people know better, this is not maintenance, is a screwup and they are currently unable to fix it. Rumor is (and i'll leave it at that for now) they only have 1 technician and this may be beyond his abilities to fix. Nothing against him personally, however Russell the owner surely has some answering to do over the practices of this business. So AlienJunk is offline and now we are in to day2 of being offline. This website linked herein contains information which is absolutely invalid and downright incorrect with regards to the US. Not sure what you mean by "in the american legal field." On its face, this would seem to imply "someone working as a lawyer somewhere in North or South America." Anyways, the short of it is that pretty much everything you've said with regards to a "right" to a refund is just wrong as it relates to US law. Guys, I am sorry to have pasted here a link which turned to be British instead of American. Anyhow, I am not a legal professional and my word should not be considered as a legal advice. All I wanted to do is help others get their refund despite AlienVPS claiming they don't issue refunds. I am sure this thread is read by people who can help us all in a correct and professional manner. Yeah my VPS was offline as well with them.... it's online now but for how long. Vswap is now disabled and the servers are acting very slow, but at least they're online. How do you know Vswap is down? I'm not calling you a liar I just don't know how to check. If the issue is vswap, well... none of my VPSes even need it. Maybe those cheapo $20 a year plans do but not meee. Hope my stuff stays up! SSH into your server and type 'free -m' without the quotes. In the few hours I had the VPS before it went down, it had 220MB (for the 190/220mb plan) listed under swap, now it is gone. Also, if you login to their hypervm (https://vps.alienvps.com/), it says 0KB out of 0KB under VSwap, this used to be out of 220MB. vswap on NY14 has been disabled as well and this has been confirmed by their staff.. But the excuse behind this is still unknown becuase they won't tell me.. I'm pissed now. Not only have we had to deal with this downtime, but now, we're not even getting what we've paid for. Hell, they haven't even given us burst RAM to make up for the loss of vswap. 1. I get a vps with more downtime than uptime. 2. I am no longer being provisioned what I signed up for a week ago. Seriously, what clown is running the show there? Anyone have contact info? Phone numbers? No surprise there.... They had this happen a few months ago. Just creating another ticket, hope I got some respond.. I have a strange problem with disk space since yesterday. "df" command shows I only have 77G worth of space instead of 100G that I should have according to the plan purchased, and what's more, only 40G total is available. Which means I have 40% of a disk quota that I paid for! Ticket is opened in regard to this. I guess the aliens left the mother ship. Update from me... they have honor my request and cancelled my vps..
NY9's perfomance has dropped again, some requests are very slow compared to usual. And nobody has responded to my ticket re: missing disk space. BTW, the size of my "disk" has dropped from 77G yesterday to 67G today. Considering it is OpenVZ, anybody has any idea why this could happen? If I was you, I would be happy that they dropped the VSwap. Or would you rather more downtime on your VPS? I am not sure what happened to AlienVPS, my disk quota drops like 1GB every 2 hours since the subject issue, in fact, it has dropped from 77G yesterday to 65G today and keeps going down. If it keeps going, I will be out of disk space in 2 days. 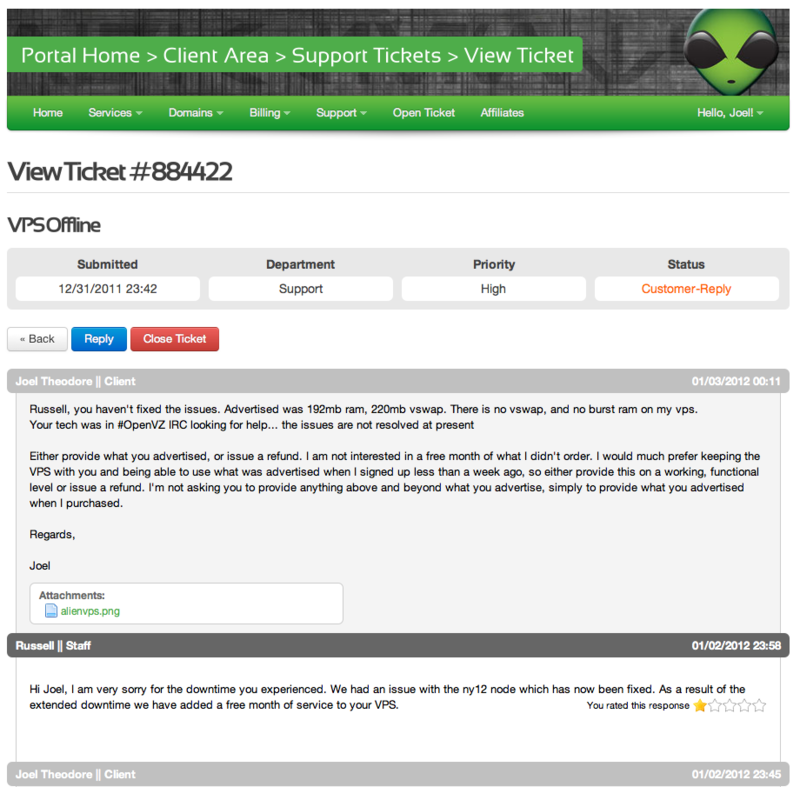 The worst thing is that AlienVPS support just ignores my tickets. Thank christ you're not me then, because here's a noble idea, how about supplying what you advertised, not what you think i'll be happy with. It would put AlienVPS in a rather unique position to what they are now, they would be supplying what they sold. Whether I rather more downtime or not is completely irrelevant, because it's inevitable that it's going to happen. They haven't fixed anything, there's no burst, there's no swap, it is merely a temporary injunction whilst their technician figures out it's wednesday, not tuesday and maybe he can fix the issue by 2013 if he spends enough time in IRC. Either provide what you advertised, and what was paid for, or supply a refund. NY9 node is down again. I'm not surprised, my VPS went offline again in NY. I have had enough of them ignoring tickets for a week and resolving nothing, and then ignoring the fact that they have not provided what was advertised. I have migrated my data away from AlienVPS after the New Year unpleasant surprises and now in the process of getting a partial refund for the VPS. Sorry to hear that. I stuck it out and am very pleased with them right now. I feel like a fanboy. They could be overselling their nodes, and in this case running out of space on their main partition which if were the case probably means the i/o wait is high which in turn could cause for instability/what seems to be downtime on the node when in actuality the node may not be going down at all. Just speculation, who really knows without access to the specific node. Hope they get it figured out soon as I have seen plenty of good reviews on them. Things like this happen though to every host eventually. NY8, i've been down aswell. I submitted a support ticket when it went down, but it got closed within 10 minuets! Overselling (over promising)is a bad word. Don't they teach that in Marketing 101, Never promise your customer more then you can deliver, rather under promise and deliver more and win your customer for life. Just a thought to crunch on. Can someone paste a uname -a of their VPS when it comes back up, I'm extremely familiar with the OVZ kernel, may be able to shed some light. It doesn't seem to be going down completely, just unable to respond or very slowly. Maybe I can bring some balance to this discussion. As mentioned, the 1day+ downtime I experienced on my NY12 vps was awful around new year's. Like most of you here I submitted a lot of tickets. In contrast to the scorching account by Joel, my tickets have all been answered, albeit some with a 72 hour delay. I don't know whether Webrulon employees were still on the openvz irc after Russell had sent out tickets stating that the problems had been fixed or if their isp ever suspended them for non-payment. If the latter is the case, then obviously he has some explaining to do. But I see no proof of this anywhere. I'm going to go out on a limb here and say that the fallout of such damaging speculation causes vps companies to go belly up, not necessarily the annoyances over downtime. About the overselling some have mentioned here. I can attest to quite the contrary. I ran some benchmarks on my vps and as far as I can tell the cpu io and ram are all performing wicked fast. My vps is running a few cpu intensive applications and especially the cpu performance on my $8 vps is MUCH better than anything I have gotten in the past at a similar price level with competitors. I hope Russell will change his communication strategy and communicate any future issues far more elaborately and quickly. In all fairness, the announcements on their website over the last couple of days tells me they seem to have already made some progress here, let's hope it sticks. My service has been stable for the last 3 days and the impressive cpu resources for my vps make that I'm not all out of love with alienvps yet, despite the downtime. Interesting, there running 44.11 which isn't in the wiki. And its a 32bit OS, cpu being athlon could mean its as bad as an athlon XP. Can you do a "cat /proc/cpuinfo" Paste just the manufacture info about the model.. should be athlon 64 or athlon xp, athlon something. It's actually an 8 core Opteron, an athlon xp would just be hilarious, even for a budget vps. Athlon xp?? Of course not! 44.11 is the latest stable .32 based kernel. there's 5 negative comments to every some-what positive one... I don't understand, are they really this horrible? Many people don't say anything unless they have something bad to say. I wouldn't base anything off of the comment ratio itself. 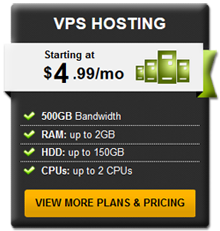 I've seen good offers from AlienVPS. They are getting things under control and had some node issues, yeah. I don't think they'll go under. Russell is a nice guy and the staff are nice too. People do this in real life, too. They think the world is going to end if some bad times come along. If you want a provider that will help you out and won't screw you over, then these guys are good. They're helpful to me anyway. Give them time to catch up. Well, they may be good guys or not, it is not really relevant here. Out of my experience with them I can definitely say their VPS's are not reliable enough for true production boxes and their tech support is very far from being perfect, in fact, in times of trouble their tech support is close to being unfunctional, the New Year's day proved that well.